As any online store owner will agree, you just can’t survive without traffic to your site. The very nature of eCommerce business success is the amount of traffic the site is getting and an online store without traffic is like a brick and mortar store without any walk-in. No walk-in, no sales, no business. Web traffic is the ‘walk-in’s’ of the eCommerce world, but it is not any old traffic that is needed to ensure success. You need the right traffic; quality traffic that will ensure that whoever is ‘walking in’ to your online store is in the market for what you’re selling. You need targeted traffic. What is Targeted Traffic & Why Do We Need It? 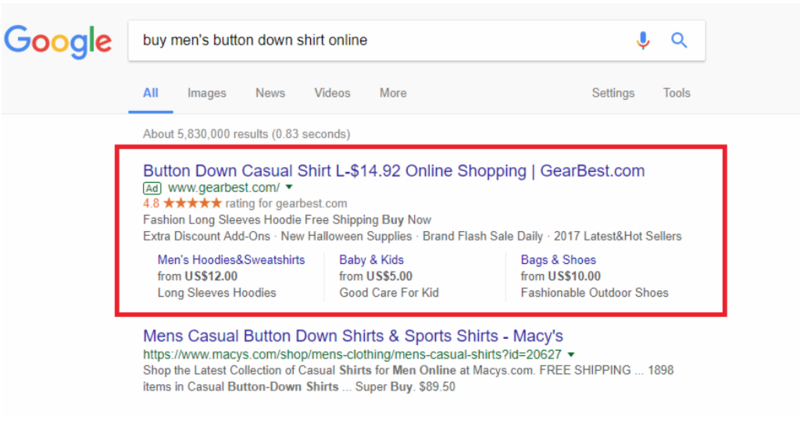 Targeted traffic are potential shoppers who you drive to your online store; potential shoppers that are actively searching for the products you are selling. This means that by the time they get to your site there is a much a better chance of them actually buying from you. Traffic helps build your brand, gives you a much better chance of converting potential and returning shoppers, helps your SEO rankings (because when they get to your site they find what they are looking for), and therefore, amounts to much higher ROI (return on investment). So how do you get this coveted target traffic? In this post we will look at the top 3 traffic-driving ways how you can drive more targeted traffic to your store. SEO is still one of the biggest traffic driving sources out there. By optimizing your online store correctly you have a better chance of ensuring that the traffic SERPs (search engine results pages) are bringing you more targeted, good quality traffic. When you look at the stats that 33% of all clicks go to the first organic result on Google, SEO as a targeted traffic source cannot be overlooked. Meta tags are those descriptions that come up in the destination URL when a user does a search. It is the information that helps them decide which of the results on the SERP they will click. You will want to ensure the keywords used are relevant to your business and the page you are sending them to. 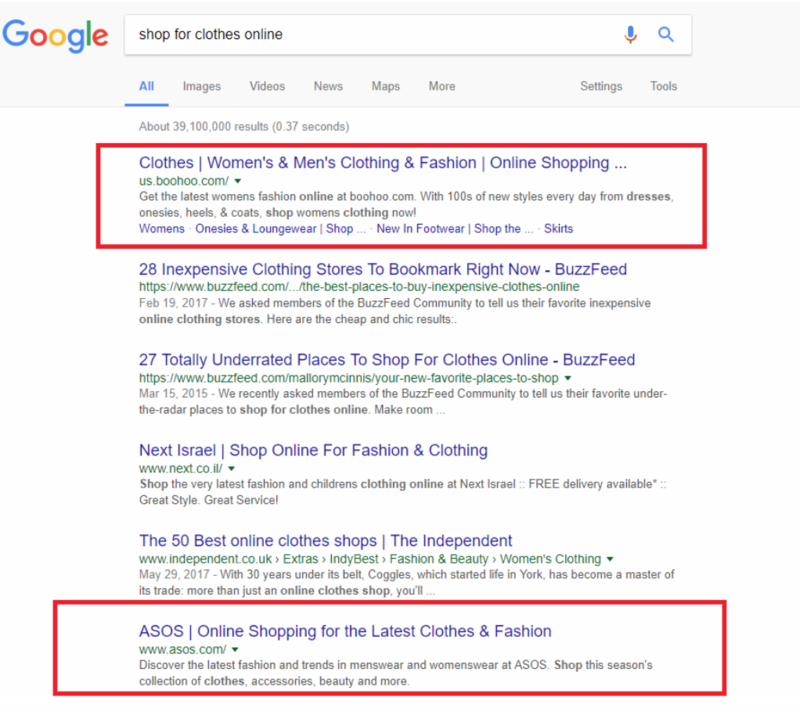 It is also important to ensure that you are writing these descriptions for your potential shopper and not just for search engines, so keep them informative, brief and relevant such as in the highlighted examples below. Alt tags are the text that you provide with a graphic. It is so often overlooked when one is loading photos, especially when you have an online store with so many product photos. It is also however vitally important for SEO. Essentially the alt tag describes the images, or put more simply, puts the image into words. This, in turn, helps to strengthen your site for search engines and screen readers and also makes sure that your images are accessible to all. These can be easily implemented by adding apps like Yoast to your store. See their post on Image SEO Alt Tag Optimization for more info. The last example we will look at is your post or page titles. You will want to make sure that the relevant keywords you have chosen for your overall site or each product page appears in the page title. This will not only improve your SEO but ensure that when people look at their title they will be able to know exactly what you’re selling and therefore be more inclined to browse your online store when they click-through. Some other basic SEO must-dos are to ensure that you avoid duplicate content, ensure your site is responsive for all types of devices, include good quality backlinks and, of course, adding a store blog which you can use for your content marketing strategies as well as SEO. Bonus: PPC vs. SEO – Which Provides Better Value? We all know that Facebook can bring a lot of juicy traffic. However, the trick lies in ensuring that the traffic your Facebook ads are bringing is the kind of good quality traffic that increases your conversions through correct targeting. Sure, the usual marketing rules apply here: using the right CTAs (call-to-actions), choosing the right graphics and crafting great headlines, but it is Facebook targeting that will ensure you are not driving just any old traffic but more targeted traffic that are more likely to convert. 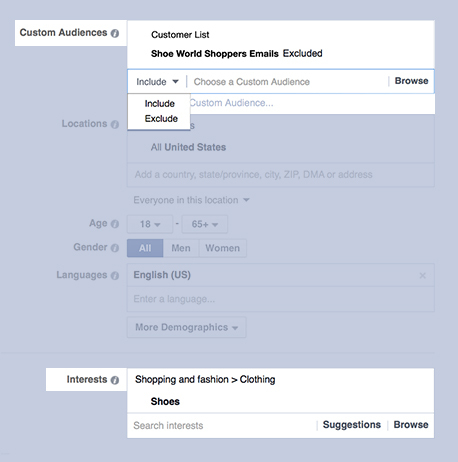 One of Facebook’s ad advantages is its custom audiences that enables advertisers to tailor targeting very specifically, and getting this right is essential in getting that targeted traffic. 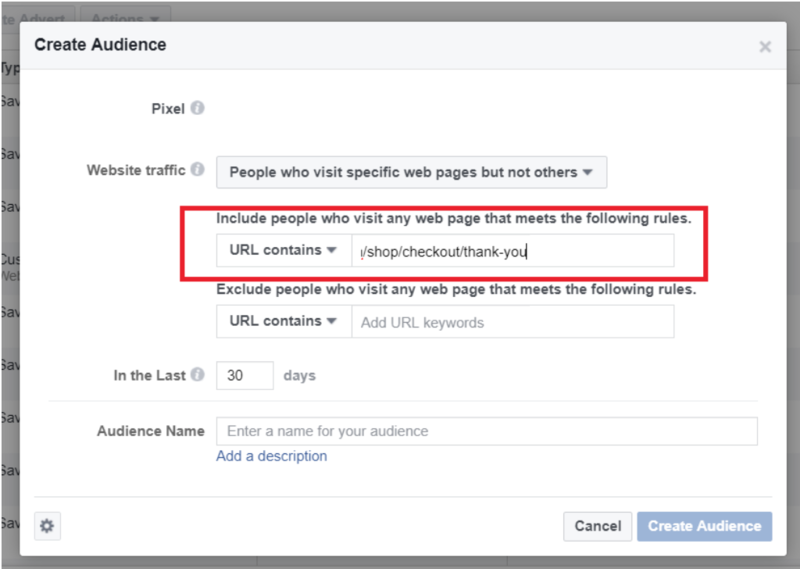 Here are two Facebook custom audiences hacks you can use to drive more targeted traffic with your ads. By excluding certain customers in your targeting you will be able to ensure that the ads are only being seen by people who haven’t responded to your ads before. This means that with your messaging (headlines and descriptions) you can tailor your ads specifically for catching new potential shoppers and attract more fine-tuned traffic who are therefore more inclined to shop. What could be more targeting than traffic that not only knows and trusts your online store brand, but has bought from you before? This is a particularly effective traffic-driving tip as the peak shopping days are in full swing. Targeting audiences who have bought from you before and found themselves on your ‘thank-you’ page can have big traffic payoffs as it will ensure that the traffic these ads bring is highly targeted and ready to put their money where their mouse is – so to speak. Google AdWords is still the biggest traffic driver for eCommerce. From its search ads to its display and shopping network and online store, not taking advantage of AdWords is missing out in a big way. The most important tip with regards to getting more targeted traffic from your AdWords campaigns is: optimization, optimization, optimization. You want to continuously monitor the keywords you’re bidding on and the results of your ads to ensure that your ads are not only relevant to the products you are selling, but also to the text you’re using in your ads. Yes, AdWords can feel like a full-time job, but the payoffs of getting it right far outweigh the time and effort. Want proof? Check out our recent case study that proved an expected 36% increase in ROIs (return on investment) when running AdWords PPC campaigns over the busy holiday season. Here are three Google AdWords hacks for getting good quality traffic from your campaigns. Ensuring you are using the right keywords is essential in ensuring you have good converting traffic. You want to ensure that your keyword terms match your business for one, and that you are also constantly tweaking them to get the best results. This means putting more budget when keywords are performing well, pausing those keywords that are not performing, adding and testing new keywords and keeping your keywords and campaigns well grouped and organized. Fine-tuning your ad group ads with your keywords will ensure your ads stay relevant. Relevant ads don’t just mean better quality scores but that you are attracting a more targeted audience thus increasing your chance of converting ad clicks. One of the best ways to fine tune this is to keep your keywords list of ad groups narrow. You will want to ensure that you try narrow keywords per group to around 10, and then tailor your ads in this group with the very specific keywords you’re using to ensure you getting more targeted traffic from these campaigns. Let’s look at a quick example to illustrate. Say you are an eCommerce entrepreneur selling men’s shirts and have an ad group with keywords all dedicated to this niche. Think for a moment just how many types of men’s shirts there are…this is not as narrowed down as you first thought. You’ll want to narrow this down quite a lot to ensure you reach the people who specifically want what you’re selling. For example, drilling down to specially ‘men’s button-down shirts’ will attract potential shoppers looking for exactly what you’re selling on that URL or landing page. That’s all great, you maybe asking, but with the holiday season coming up, is that automation enough to take the hassle out of ensuring you get the best ROIs? The short answer is no, you will still need to keep a watchful eye on your campaigns as much as you can. However, that doesn’t mean you have no choice other than to spend time you just don’t have, or investing in hiring dedicated agencies or professionals you can’t afford, to help with your PPC campaigns. There are automation tools like our Traffic Booster that will manage your AdWords to ensure you getting the most amount of targeted traffic you can from your holiday AdWords campaigns. There you have it, your three main sources of traffic and how to ensure the traffic they drive is more targeted. No matter which source of traffic you’re using (be it the three listed here or other important sources such as paid Instagram campaign, paid Pinterest ads, blog content implementation such as how-to’s and buying guides, and of course email marketing), the trick is to narrow down your targeting, focus and niche as much as possible. This will streamline your message and thus streamline your traffic which in turn will increase your chances of converting. StoreYa is offering a deal to all Re-cart blog readers on their app, Traffic Booster. Get the “Premium” plan for $25 (normally $100); they will add $75 for your first month. This plan includes the set up + management + optimization + ads budget. Just in time for the holidays! Nicole Blanckenberg is the content writer for StoreYa. StoreYa offers a suite of marketing and advertising apps which help SMBs increase sales, leads and social following. They support more than 160,000 business owners from 186 countries.